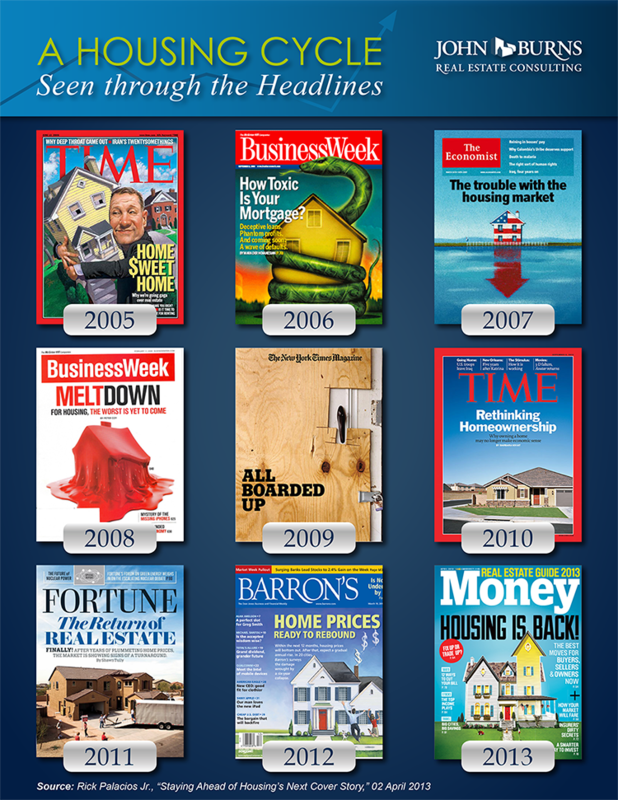 Magazine covers tend to focus on what is happening in home prices, which is a lagging indicator. Note how Phoenix home prices were up in 2005/2006, which was the best time to sell, and down in 2011, which was the best time to buy. Compare the covers to our Housing Cycle Risk Index™ (a leading indicator) and our Burns Home Value Index™* (the most current snapshot of home prices available). *The BHVI provides an accurate view of home value trends for the entire market. Each month the BHVI is calculated based on an “electronic appraisal” of every home in the market, rather than just the small sample of homes that are actually transacting. 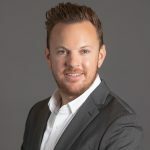 The BHVI provides home value trends at least 3 months ahead of other indices by analyzing transactions as they are negotiated, not closed, which eliminates the data lag embedded in indices such as Case-Shiller and adjusts for distressed sales mix. Tools such as our Housing Cycle Risk Index™ (HCRI) enable investors to make better decisions throughout the housing cycle, staying ahead of both recoveries and downturns. As background, our HCRI tracks the health of market fundamentals (demand, supply, and affordability) and has proven to be a very good 1-2 year leading indicator for home price appreciation/depreciation. A rising index usually means price appreciation is likely to occur, while a declining index usually means price depreciation is likely to occur. When the HCRI increases from a D to a B, it is time to invest. When the index falls from a B to a D, it is time to divest. 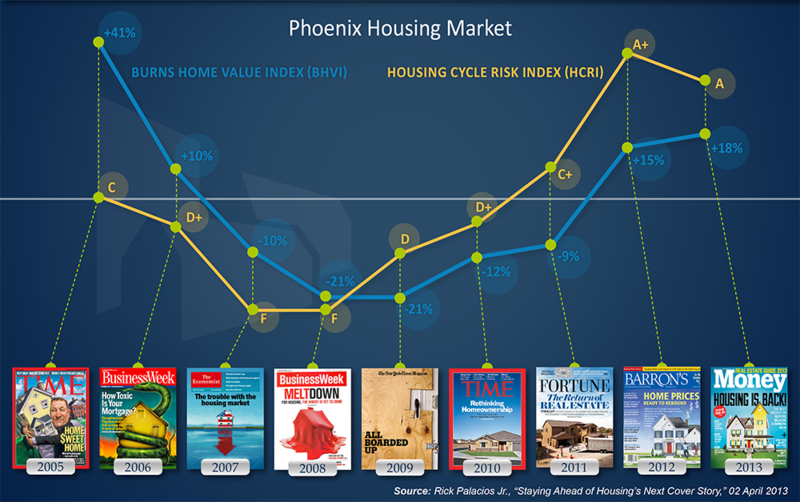 When the HCRI has reached a C or better and is improving, we recommend investing with more optimism, including investing for the long-term.According to our Burns Home Value Index™ (BHVI), Phoenix home prices rose 41% in 2005. However, the HCRI foretold trouble ahead, as evidenced by the C grade that year. By 2006, the HCRI had deteriorated to a D+, a clear exit/divest signal. Home prices subsequently plummeted. Finally in 2011, Phoenix housing fundamentals began to turn the corner, as evidenced by an HCRI grade of C+. This is when many smart investors began loading up on Phoenix, well ahead of the double-digit price appreciation seen in 2012 and 2013. The bottom line: paying attention to the media is good, but staying ahead of them is better. If you have any questions, please contact Rick Palacios Jr. at (949) 246-2695 or by email.